Thank you in advance for your interest in the Respiratory Therapy program at Stanly Community College. The following list of questions have been complied to help answer the most common questions related to the Respiratory Therapy program admission process; however this list of questions is not meant to take the place of collaborating with our Admissions staff. 1. I am interested in Respiratory Therapy; Can I talk to someone on campus? Please contact the Eagle’s One Stop, who will first ask you a few questions and then refer you to the proper career counselor. The Eagle’s One Stop can be contacted by phone at 704-991-0123 or via email at onestop@stanly.edu. Their link on the website is https://www.stanly.edu/current-students/eagles-1-stop. They can also help answer your questions related to registration, financial aid, email accounts, WebAdvisor, Canvas, and much more. 2. 2. How do I apply to the Respiratory Therapy program? Application to SCC and the Respiratory Therapy program can be completed online by visiting https://www.stanly.edu/future-students/admissions. You can use the link to apply, obtain transcripts, and learn about the placement testing for the college. 3. 3. When can I apply to the Respiratory Therapy program? Online applications for the Respiratory Therapy program are available from May 1 - March 15. 4. 4. What are the requirements for admission to the Respiratory Therapy program? The link contains the course sequence, application requirements, and application process and should answer the majority of your questions. The deadlines for the various admission requirements are to be completed are directed by the Admission Office. 5. 5. How do I register for the ACCUPLACER placement tests? Registration for the test can be completed online by visiting https://booknow.appointment-plus.com/1v5yq8r4/ or you can schedule the test with admissions by contacting them at 704-991-0226. Information about the testing can be accessed online by visiting https://www.stanly.edu/current-students/testing-and-assessment.html. 6. 6. How often can I take the ACCUPLACER test? The tests can only be taken twice in a 12 month period. 7. 7. Is there a cost for the ACCUPLACER test? There is no cost for these tests. 8. 8. How do I find out more about the ACCUPLACER test? The ACCUPLACER placement test is an untimed, adaptive test. The required minimum scores are listed within the admission requirements. Please visit the frequently asked question section for the tests at https://www.stanly.edu/current-students/testing-and-assessment/frequently-asked-questions. 9. 9. If I have taken the ACCUPLACER test elsewhere, can I submit my scores? Yes. Once you have applied to the Respiratory Therapy program, you may have your scores sent to admissions. 10. 10. When do I find out if I have been granted conditional acceptance to the Respiratory Therapy program? 11. 11. Do I have to complete a drug test and criminal background check for the Respiratory Therapy program? Yes. After acceptance to the Respiratory Therapy program and as a requirement of the clinical facilities, all students within the Respiratory Therapy curriculum must complete drug screening and a criminal background check. Further information will be available for you during the Respiratory Therapy program orientation. 12. 12. How much does the program cost? Textbooks, supplemental instructional materials, and supplies are purchased throughout the Respiratory Therapy program based upon specific course offerings. A general estimate for required uniforms, supplies, books, and other expenses for the Respiratory Therapy program is approximately $3500. 13. 13. Are uniforms required for laboratory and clinical courses? Yes, you will purchase required uniforms in your first semester of the Respiratory Therapy program. Uniforms will be worn for laboratory competencies and all clinical rotations. 14. 14. How many days per week should be designated for my classes, labs, and clinical rotations? You should be prepared to participate in Respiratory Therapy curriculum courses at least four days per week. The schedule for classes, labs, and clinical rotations will be different from semester to semester. Each semester you will have approximately 9 to 15 contact hours in respiratory courses each week for classroom and lab components. Each component requires preparation and completion of assignments. A good guide to follow is to plan at least two-to-three hour of study time for each contact hour. Starting with your Spring semester of the first year in the Respiratory Therapy program, you will have approximately 12 to 24 contact hours in clinical courses each week. Detailed schedules of clinical rotations will be given out at the beginning of each clinical course. 15. 15. Do all classes, labs, and clinical rotations take place during the day? The classroom and lab portions of the Respiratory Therapy program are taught during the day. Clinical experiences are usually scheduled during the day and evening for either eight- or twelve-hour shifts. 16. 16. Where will I be going to clinical rotations? Clinical affiliates for the Respiratory Therapy program include: Carolinas Medical Center (CMC), CMC-NorthEast, CMC-Pineville, CMC-Union, CMC-University, Levine's Children's Hospital, Novant Health-Hemby Children's Hospital, Novant Health-Rowan Medical Center, Stanly Regional Medical Center, and Wake Forest Baptist Health Lexington Medical Center. 17. 17. Are my courses in the Respiratory Therapy program transferable to a university if I want to pursue a bachelor of science in Respiratory Therapy? 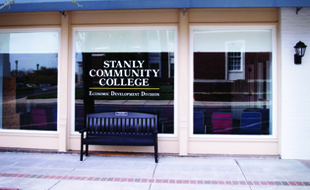 General education and science courses taken at Stanly Community College may transfer to a university. Respiratory courses are not transferred on a one-to-one basis. University Bachelor of Science programs (BSRT) grants students credit for having earned their Respiratory Therapy degree. Several articulation plans are available for Respiratory Therapy graduates. 18. 18. Is this program nationally accredited? 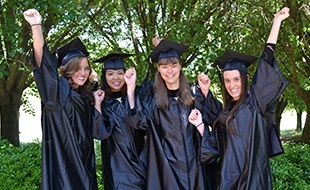 Stanly Community College is accredited by the Commission on Colleges of the Southern Association of Colleges and Schools Commission on Colleges to award associate degrees. 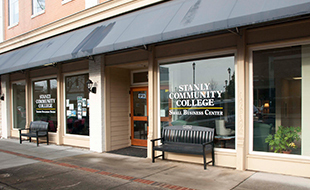 The Respiratory Therapy program at Stanly Community College has been granted accreditation status by the Commission on Accreditation for Respiratory Care (CoARC).